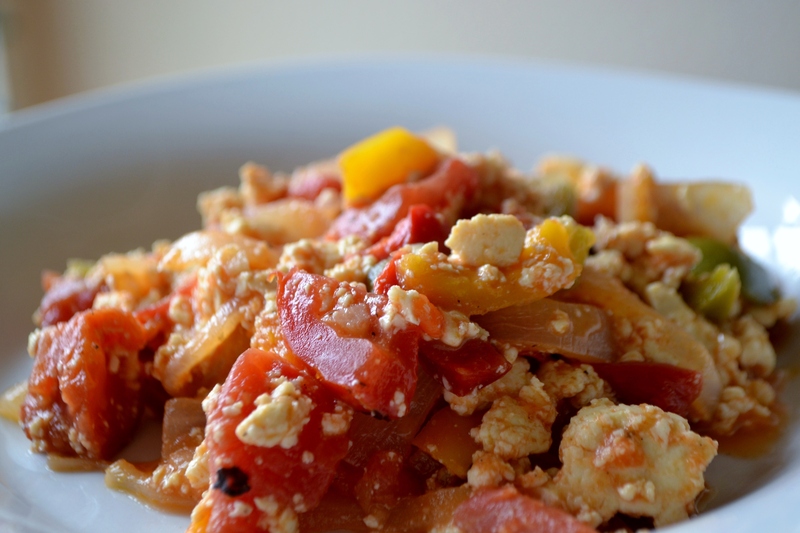 Huevos revueltos, or scrambled eggs, make for a quick and easy breakfast meal. Usually huevos revueltos are kept simple with eggs and some salt and pepper. But why stop there? I say add some veggies for flavor and color. And while we are on the subject of flavor, chipotle peppers add a ton of flavor.